Della is a voice actor who currently lives in Howard County and has been seeking ways of getting to know Baltimore. 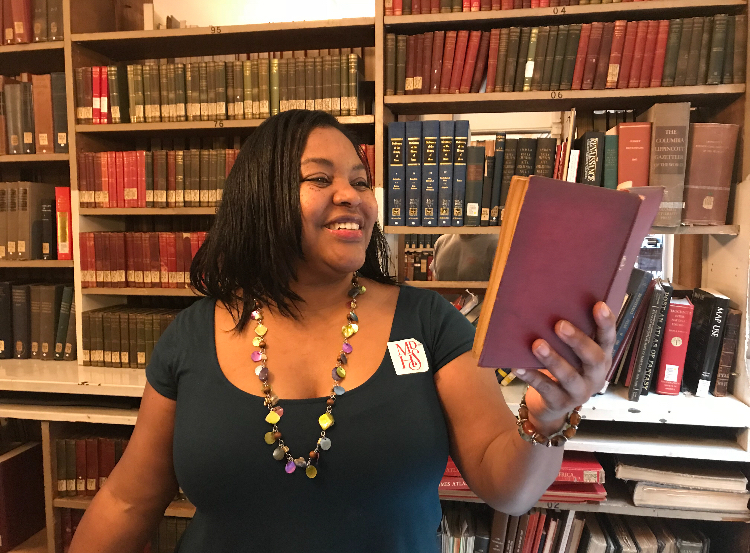 She was thrilled to learned about Doors Open Baltimore back in September while attending a fundraising event at the Baltimore Museum of Industry, which was one of the five DOB 2018 Info Hubs. In addition to the Pratt House, her DOB exploration involved visiting a handful of sites located in the Mount Vernon neighborhood, such as the Maryland Historical Society, Marburg Mansion, and the George Peabody Library. We greatly appreciate you sharing your Doors Open Baltimore story, Della! Hopefully we’ll see you next year at DOB 2019!